This is off topic, but as you've probably noticed I'm never averse to a little jazz-ambassadorship. 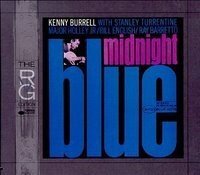 I noticed recently that True Blue Music.com is having a big sale on a lot of Blue Note's Rudy Van Gelder "RVG" remasterings. 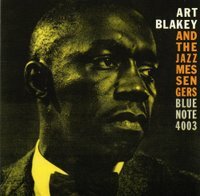 Many middle-period jazz recordings were halfway between studio and live records—a group of cats convened in a living room somewhwere, blew for a few days while the tape rolled, and the engineer and producer (sometimes, but not always, the same guy) picked the best cuts for an album. Van Gelder consistently gets ranked as one of the virtuosos of this type of record-making. True Blue Music is now letting a lot of these go on CD for ten bucks each. Another way of saying this is: a real aluminum CD with notes for what the download costs. Not a steal—but a deal. To tell you the truth, despite the hype, I've never been all that impressed with the sound quality of the vaunted RVG remasterings for CD, although they're fine. They all seem just a bit on the thin side, like Van Gelder's monitors were a bit bloated in the bass and he was fighting that. But they're all of a consistent standard of "good or better," and let's face it, a lot of the music Rudy Van Gelder recorded is, and is always going to remain, one of the very best reasons to have ears. 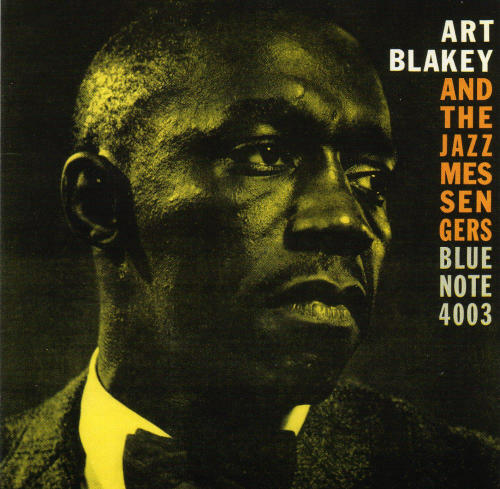 Art Blakey's Moanin' deservedly makes all the "100 Essential" lists. You can take your pick of the Jackie MacLean and Hank Mobley offerings—there's nary a dog in the bunch. Just a few of the highest peaks above the clouds for me: Kenny Burrell's great popular favorite Midnight Blue; Freddie Hubbard's wonderful Open Sesame (and Tina Brooks' True Blue with the same personnel—or mostly the same anyway—recorded just a few weeks later); Lee Morgan's The Gigolo (abounding in Wayne Shorter, sizzle by Billy Higgins); and Eric Dolphy's Out to Lunch (an even better bet—and better value—is Dolphy's excellent Prestige Profiles compilation downloadable on iTunes). In any format, don't miss these. Amazon doesn't have Lee Morgan's "The Gigolo" for $8, but they do have the RVG of Morgan's highly popular "The Sidewinder" . "Sidewinder" was Morgan's top hit and one of the big-selling jazz records of the era, thanks to the contagious title track which I'm sure you've heard, even if you didn't realize what it was. It's not my absolute favorite Lee Morgan record, but like the others it's easily a must-have. Eric Dolphy's "Out to Lunch"
Horace Silver's "Song for my Father"
..and the title song of "Song for My Father" features a melody line that Steely Dan completely nicked for "Rikki Don't Lose That Number". For a real diversion from the Blue Note sound, check out John Zorn's spirited "The Sonny Clark Memorial Quartet" album if you see it in the bins someplace. I'm assuming now hopelessly out of print. Andrew Hills' "Point of Departure." A rousing YES to all your suggestions and especially Horace Silver's "Song for My Father" (Any Steely Dan fan out there should recognize Mr. Silver's title track). 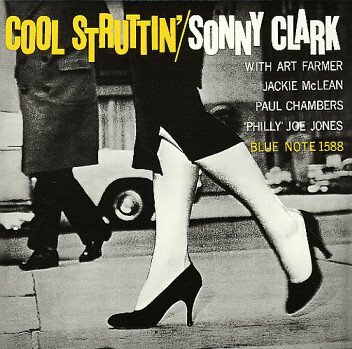 Some jazz I really like, some I actively hate so I was in trepidation about following the links. 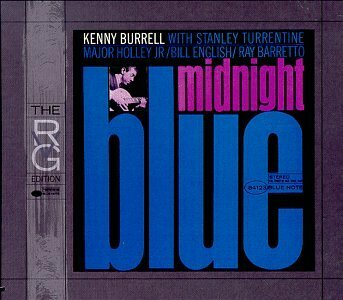 To cut a long story short I passed on the Sonny Clark but snapped up the Kenny Burrell from a seller in Florida via Amazon UK - a bargain! Please don't go doing these music related posts too often or all my pocket money will disappear. I like this diversion! How about a top ten jazz list.